Have I Become a Country Bumpkin? I crossed the bridge and headed up to Reisterstown last night. This morning , I thought I would do a little shopping. A yarn shop, a quilt shop, a pet shop and finish it off with a late lunch/early supper at that little restaurant. Sounds nice. If it weren’t for the traffic! And drivers here are not very nice at all. And what are these people doing out and about during the middle of the day? Don’t they have jobs? 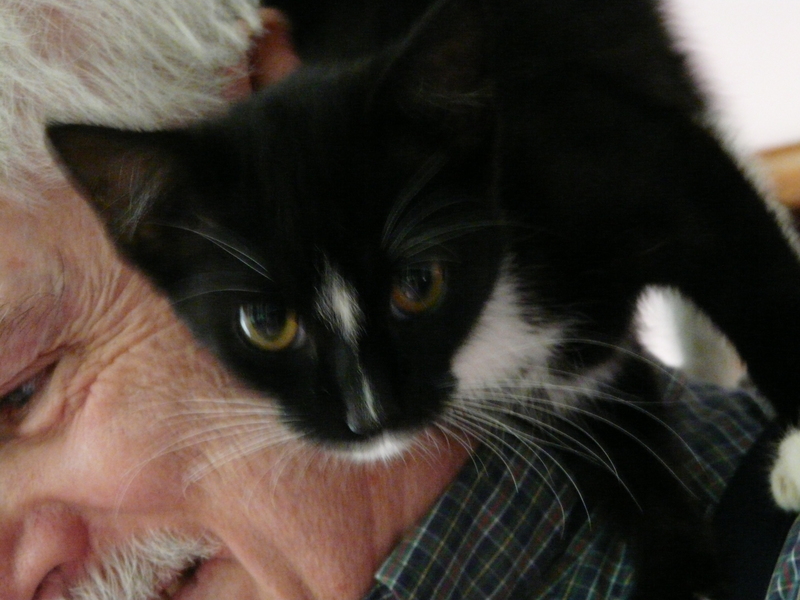 After the finishing at the pet store, I said the hell with this and went back to my son’s. I warmed up some coffee, got out a yogurt and read my book. Maybe I’ll show you what I bought when I get home. Maybe. Posted in Stuff | Comments Off on Have I Become a Country Bumpkin? For those of you who had planned to see my new phone case yesterday, I can only say I’m sorry. I couldn’t do anything right. The case wasn’t right so I took it apart and started again. I couldn’t knit either. For some reason, I kept decreasing for the instep until I had ten too few stitches on my needles. I had to rip out twenty rows and lost two hours worth. I really didn’t need one. But trying to text on that tiny keyboard was getting to be a real pain. A touch pad would be so much easier to use. And I didn’t want to spend any more than what my son paid for his. After I got it home and started playing with it, I discovered that I can talk text. What more do I want? Wait a minute! Well, I’ll be. I can talk text, too. Hot damn! All right. I’ll quit acting like an idiot. They wanted to sell me a case. I said, I’ll make one. I got a very sceptical look. What if you drop it. It will be well padded. The idea that anyone could make something useful was totally beyond them. I got out the Stiff Stuff. I love/hate this stuff. I hate working with it. I love that it does what the name implies. 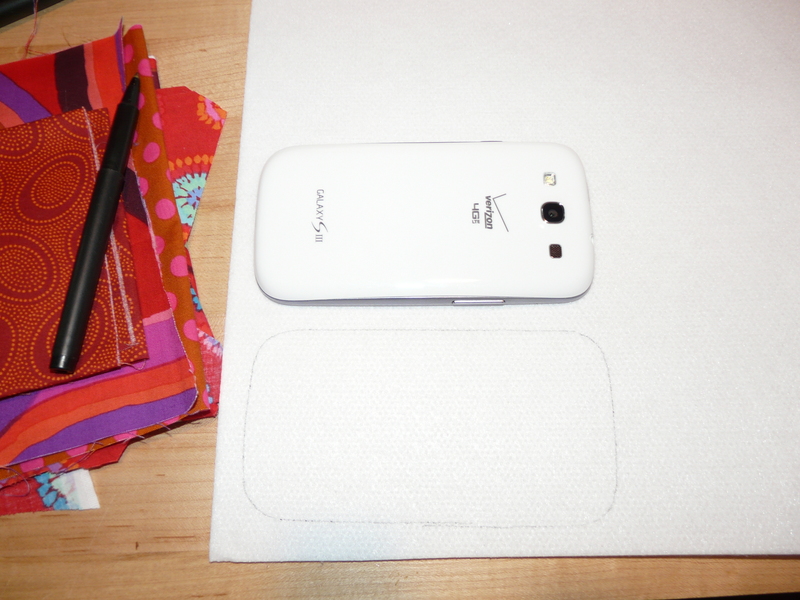 I traced around the phone twice. Then managed to cut them out without too much swearing. 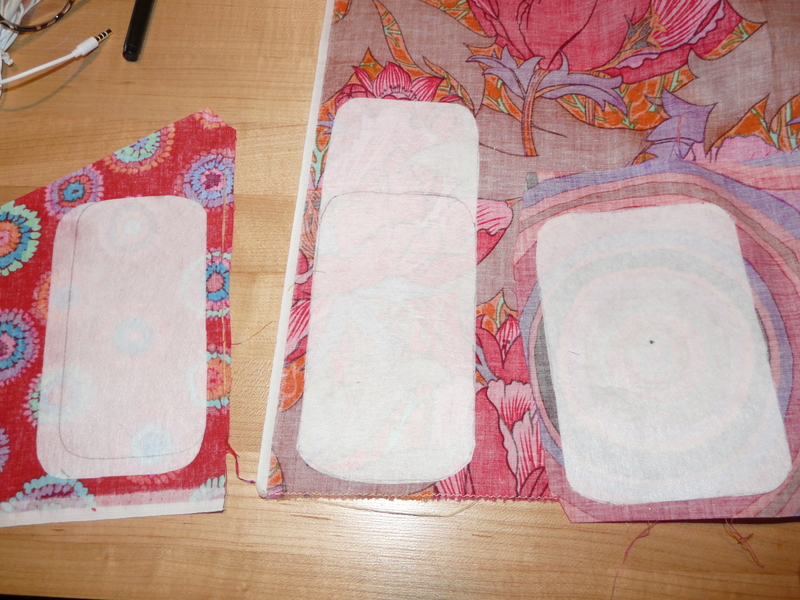 Cutting the interfacing took some time. The wide piece is a pouch for the earphones. It has to have a little pleat. The long one includes the flap. The third is the front. Each piece is about 1/4 inch wider and longer than the phone. 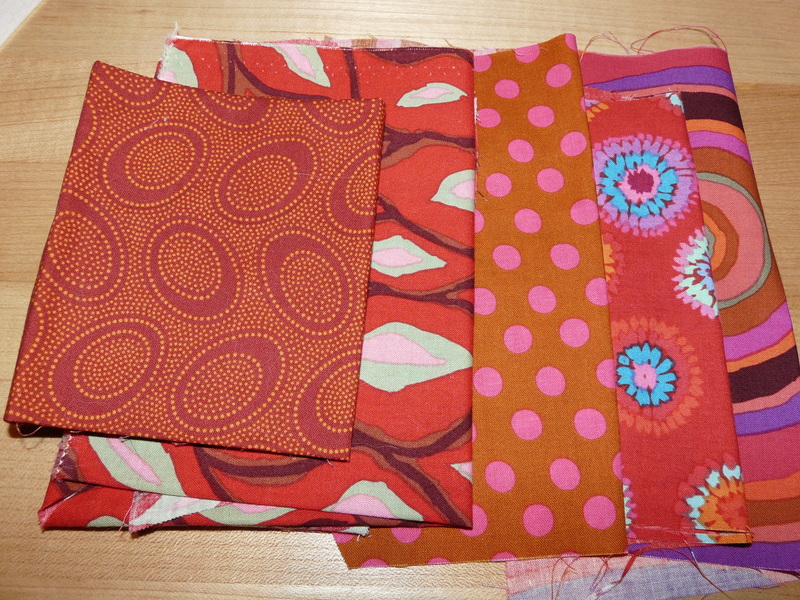 Picking fabric was easy. I got some leftover Rowan fabric. 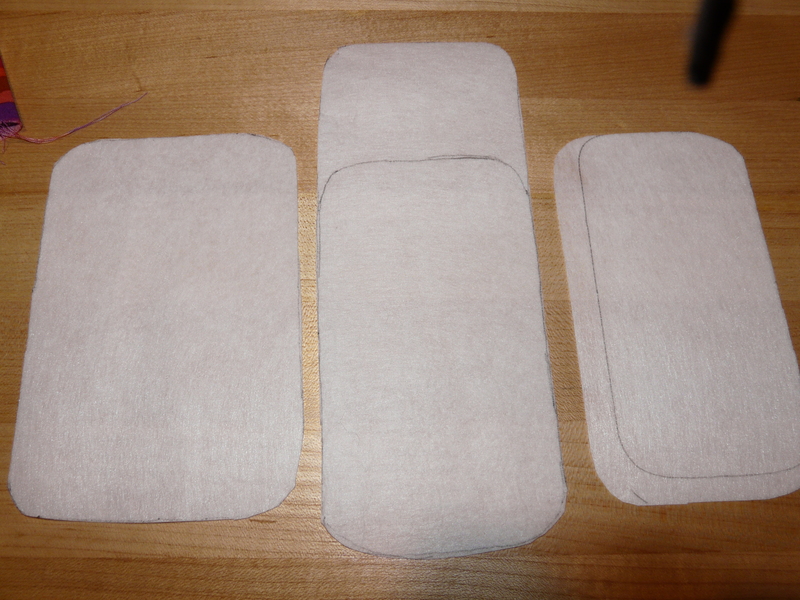 I ironed the interfacing onto the wrong side of the desired fabric leaving enough space for seams. And that’s as far as I’ve gotten today. Sweetums is getting hungry. 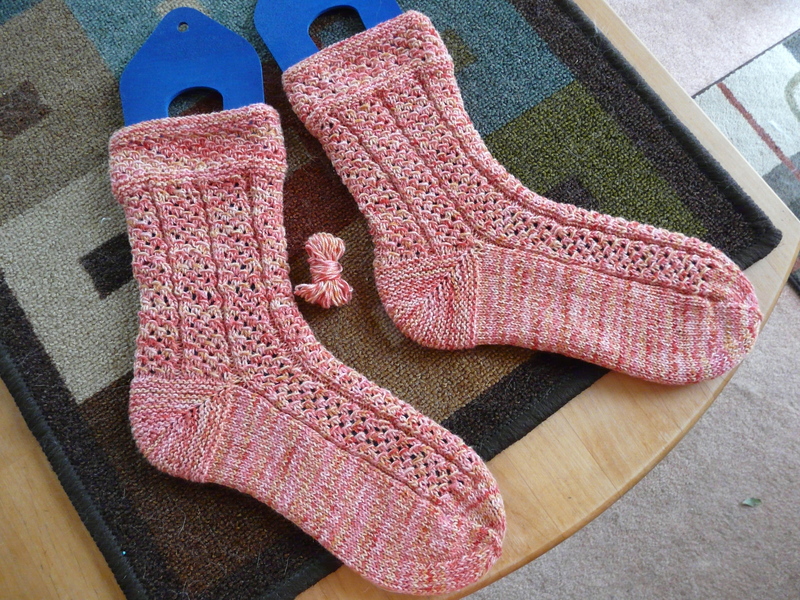 The pattern is in Summer 2013 of Sockupied. You will note that there is very little yarn left. I had made a premmie cap. There was only 75 grams left. Out of curiosity, I weighed another skein of Tofutsies that was supposedly full. It only weighed 95 grams. A little food for thought. So. Can you see the mistake? It’s on the leg of the left sock. It comes from knitting late at night when I would normally be sleeping. I’ve already started another pair of socks. I thought about going back to the anniversary shawl, but it seems I’m still in sock mode. I found a nice pattern from Socks That Rock and the yarn is Sockcotta in shades of tan. Yes. Tan. It happens. This is going to be my next purse. 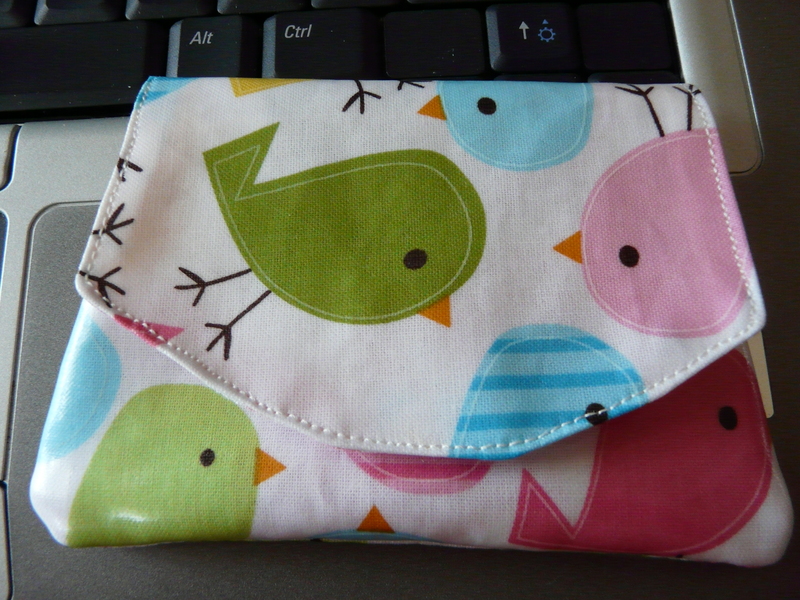 And, of course, I had to make a matching change purse. Is that too cute? Sometimes I make myself sick.